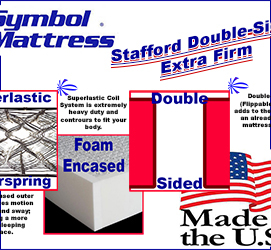 The "Stafford Extra Firm Double-Sided" mattress is a long-time best seller for Michigan Discount Mattress. From Symbol's "Comfortec" line, it contains some of the industry's best materials and most state-of-the-art features; for a low price. The Stafford has a Superlastic Continuous Coil innerspring that is possibly the most durable coil in the industry and, it's built to hinge so that it provides contouring comfort. Adding to the strength and durability of this mattress is a very dense and heavy-duty edge and a double-sided (flippable) design. 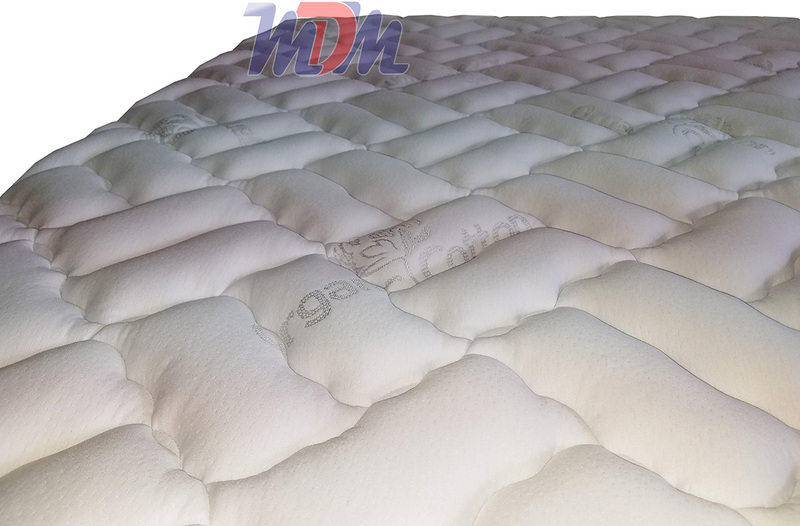 A Gel Lumbar Pad provides added support and comfort to the middle-third of the mattress. Handles on its sidewalls not only add to the design of the mattress but also make it easier to flip and to rotate. 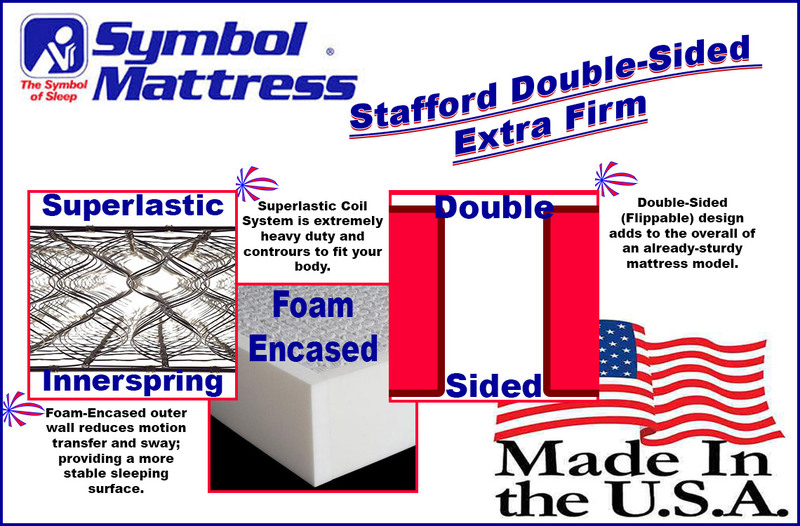 All foams in the Stafford Extra Firm Double-Sided mattress are CertiPUR-US certified and are made in the USA - by Symbol Mattress. This is a mattress that is built to last! For someone who likes a firm mattress and/or who has a back problem, the very supportive and quite firm Stafford is absolutely perfect. 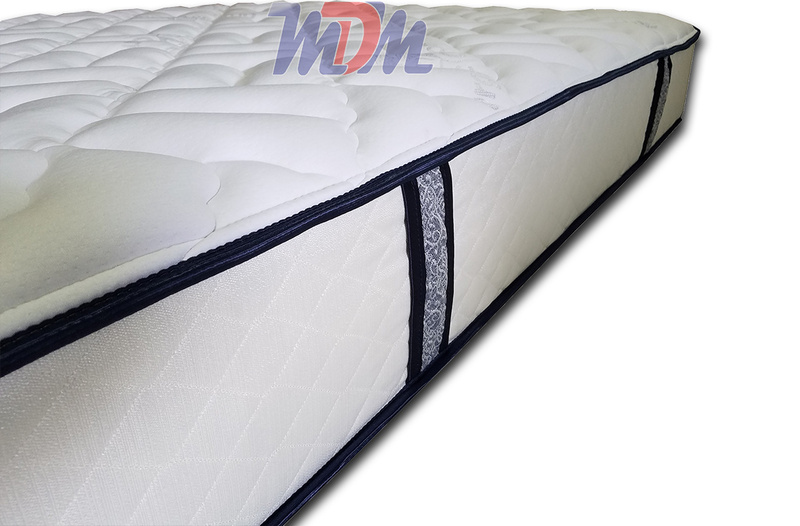 This two-sided variation gives you a premium mattress with nearly twice the amount of durability for only a few more dollars. Underneath the surface is a cool gel lumbar support and extra firm convoluted foam to improve airflow for an even cooler sleep surface. The continuous coil system offers plenty of support and stability. Double insulator layers keeps the foam in place where it belongs. This combination of materials is a nice added touch that many of us don't know that we need until we try it. Sounds great, right? Now take all those great layers and double them! 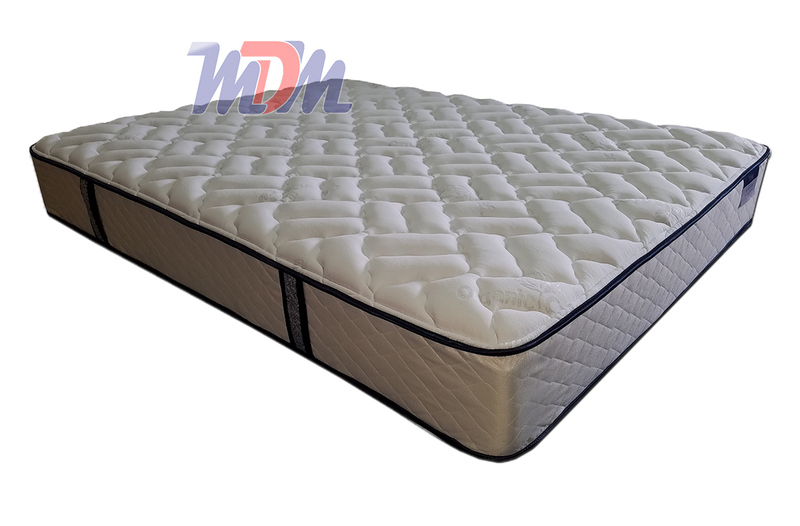 This Stafford is a double sided firm mattress for extended life. It is true that double sided mattresses last longer than those non-flip models. You will enjoy a great build that feels comfortable starting from night one and at least 10 years more.